Printing Wales is a Cardiff based commercial printing and design company. Our offices are open Monday to Friday, from 9am to 5pm and provide quick turnaround times for all print jobs. If your searching for Printers Cardiff then read more about us or get a quote. Printing services can be infinite! Listing all of them it’s impossible! At Printing Wales we offer a huge range of products and services and with our latest equipment we can provide fast turnarounds for every product without compromising on quality. Whether you need your company profile brochure, your reports/presentation, your magazine or your catalogue, we are ready to help you. We offer a huge range of great value printed business cards that can be produced in-store within 24 hours, or for large volumes and special requirements sent to our centralised litho print facility. In a world of emails and tweets your printed business letterhead and your compliment slip have one wonderful advantage – they are tactile. High quality paper stocks feel luxurious to the touch and automatically enhance the image of your business. If you need someone to design your graphics or artwork your ideas ready for production just let us know, you’ve come to the right place. 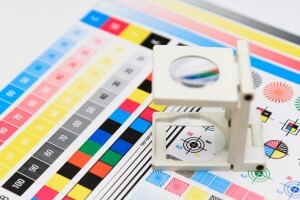 Here at Printing Wales we have our own in-house design studio ready to help you. Put a brief together and get in touch, we’ll be happy to sit down with you to discuss your requirements. Our experience in the corporate printing collaterals, events, retails and exhibitions, amongst others, means we’re ready to help you to express your brand with the best possible creativity. We have been involved in photography for over 15 years, backed by a vast knowledge of graphic design from the printing industry, we can add that extra creative fair to your photos. We are currently working to be CAA approved and will be offering a wide variety of UAV Aerial Photography, Survey and Monitoring applications. We stock a large range of portable display stands including roller banners, pop up stands, fabric backdrops, flags, portable desks, gazebos, POS signage and lots more products to dress your event. Fast leaflet printing with guaranteed turnaround. Leaflets are so versatile, it?s no surprise so many of our customers find them an essential part of their marketing. Whatever the occasion, choose from our high quality luxury range of papers for your postcard printing. Whatever your big idea is, we can make it a reality! We use the latest HP inkjet printers and our new HP Latex machine to produce your A0, A1, A2, A3 or custom size photo prints on glossy, semi-gloss, matt or satin or fine-art paper. We can mount your print on polyboard or foamex to build a board for your meetings or events. A huge variety of printed film and vinyl window graphics materials can create jaw-dropping full colour adverts, subtle semi-transparent branded images, or simply provide much needed privacy.